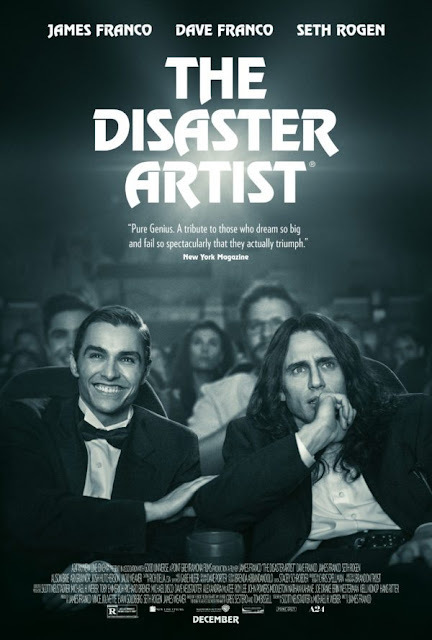 The making of the worst film ever made gets the big screen treatment in 'The Disaster Artist.' Directed by and starring James Franco the film also stars Dave Franco, Seth Rogen, Alison Brie, Ari Graynor, Josh Hutcherson and Jacki Weaver. The film depicts the meeting and early friendship of the actor Greg Sestero and Tommy Wiseau, the actor, writer and director behind the 2003 cult film The Room, a film often hailed as the Citizen Kane of bad movies, the troubled making of it and their respective careers after the surprising success of the film. 'The Disaster Artist' opens in the United States on December 8, 2017, no word yet on a date for Ireland and the UK.